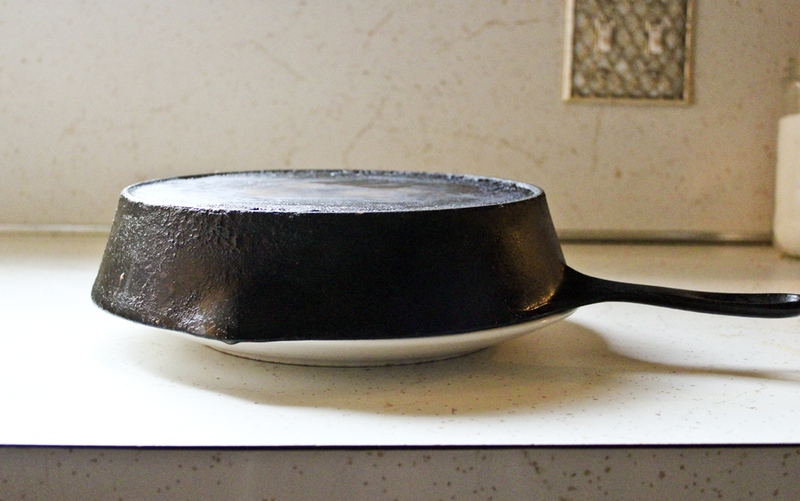 I've spent an inordinate amount of time trying to perfect the seasoning on my old Wagner cast iron pan. I can't tell you how long I've spent scraping off ancient food residue, applying too-thick layers of one kind of fat, smoking up the apartment for hours on end, realizing that the too-thick layers make for a horrible, bumpy, sticky attempt at seasoning, trying unsuccessfully to fill in the valleys left by lumpy seasoning, getting frustrated and using oven cleaner to attempt to start from scratch, applying impossibly thin layers of different kinds of fats, smoking the apartment for more hours and hours, burning off successful, gorgeous seasoning when I left the pan unattended on a burner for too long, and finally, where I am now - with a pretty decent non-stick coating that definitely suffers from too-small electric stovetop burners, but that generally loves me back as much as I love it. Which isn't to say that it's used like some people use a commercial non-stick pan, meaning, I happily load up the pan with its fair share of fat. And in this case, olive oil. Lots and lots of olive oil. 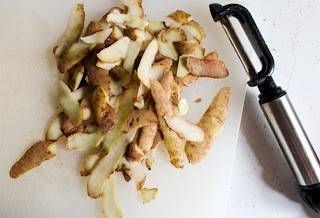 I mentioned a ways back that I was going to post this recipe. Took me a while, I guess. I remember the first time I saw how to make a Spanish tortilla. Shocked. Completely shocked at the amount of olive oil used. There's a reason it is so, so, so good. Really, can you not not get it at a tapas restaurant? 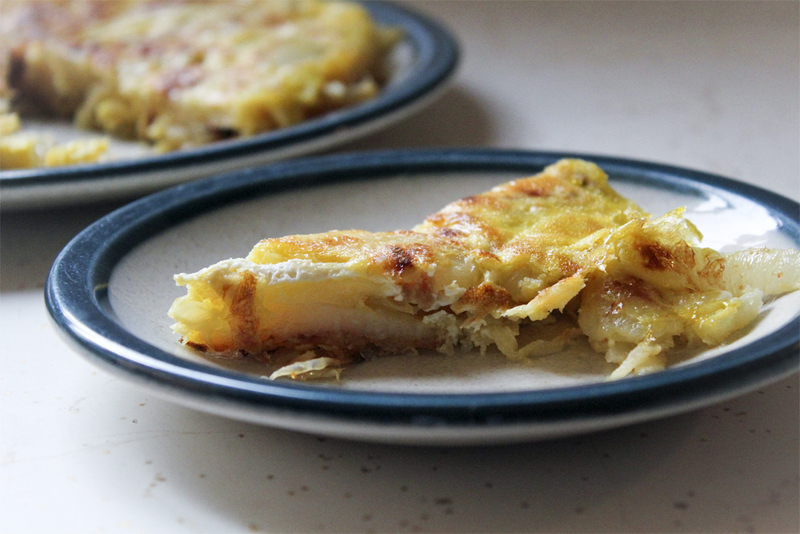 No matter how many other things are more complicated, fancy, or wonderful sounding, I can't pass up the tortilla Española. I like to think about European food before their encounter with the Americas. 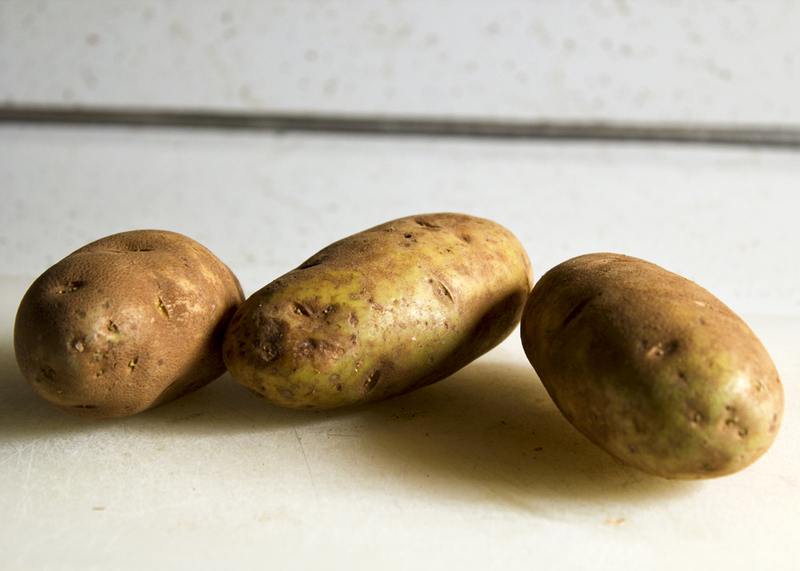 Did the Spanish make tortillas before they got the potato? What did they like to put in them? Don't even get me started with Italian food without tomatoes. One of these days I'll get some book on the introduction of New World foods to the Old World, rather than just reading blurbs on Wikipedia. Sometimes I'm overwhelmed with what I don't know. But actually, the oil used in this tortilla is kind of like the lard used for carnitas - very little of it actually stays with the food. 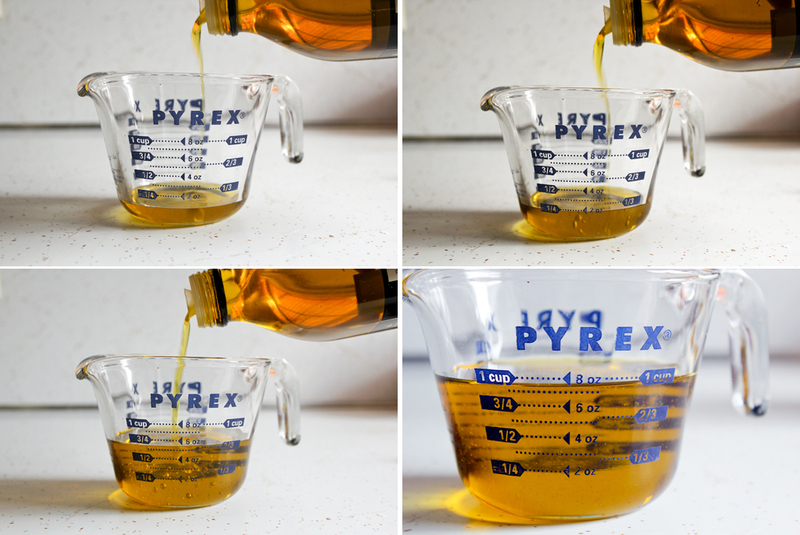 When you're done with this, you're left with a net loss of less than a 1/4 cup of oil. That scant 1/4 cup is utilized in the most utterly delicious way to render the potatoes and onions meltingly soft and unctuous. Seriously, like astoundingly good. And if you needed another reason to make this? The leftover oil you get tastes awesome, just like the carnitas lard. Just add it to your fat collection! Hopefully you won't have any trouble flipping this sucker. Obviously, if you're using a non-stick pan then you'll have no trouble. You'll also be dead to me. You just have to learn how to properly heat a pan and you shouldn't have trouble with stuff sticking. Stuff cooks so horribly in a non-stick pan. Oil just bounces around on them and pools weird and then stuff never caramelizes right and really they're just awful. Anyway, if you do have trouble, just chuck it in the oven, or keep cooking it on the stovetop like a frittata. It's okay, it'll still taste awesome. There are lots of ways you can dress up this dish. Chorizo comes to mind, of course. I've added shredded zucchini before, and that was awesome. You can also play with the ratio of potato to egg and, depending on your pan size, increase or decrease the overall amount of ingredients. Since this is such a simple dish, little changes make big differences. 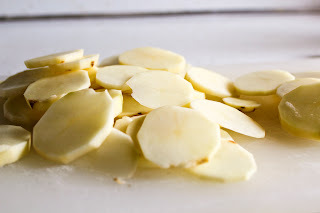 Type of potato, how you cut the potato, type of olive oil, type of onion, how you cut the onion, etc. No hard and fast rules of course. 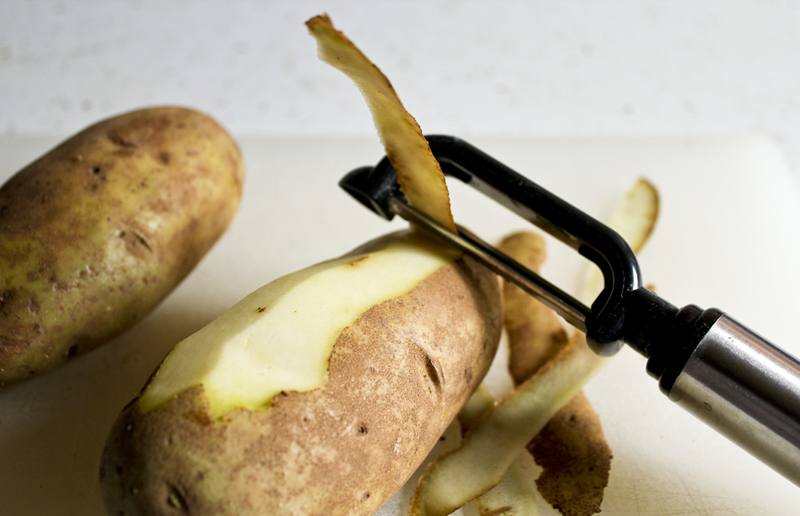 Sometimes I like chunks of potatoes, rather than slices. And if you want to really be awesome, make aioli to go along. 1. 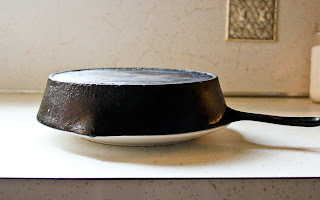 Heat oil in a 8 inch cast iron or sauté pan over medium high heat. 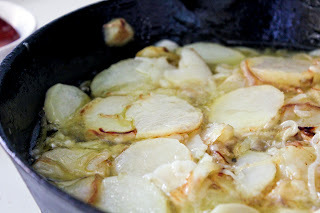 Add potatoes, onions, and 1/2 of salt. 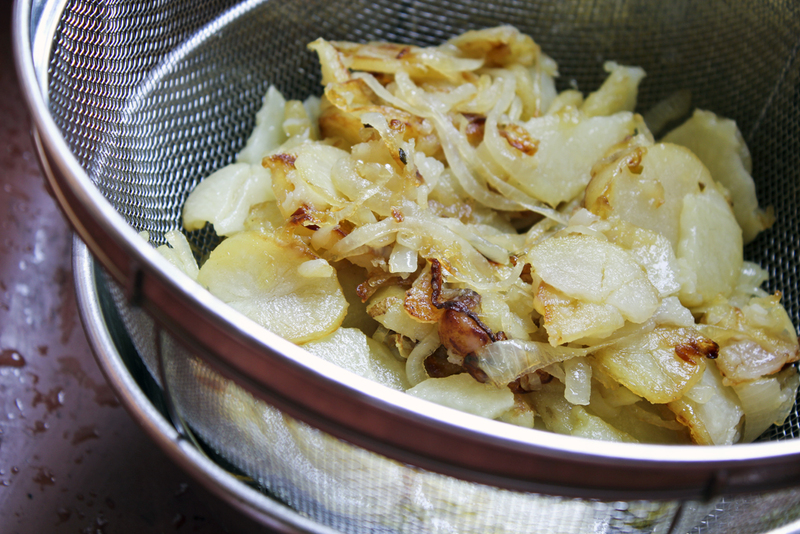 Lower heat to medium and cook, stirring frequently about 20 - 25 minutes until potatoes are fork-tender and just starting to brown. If they're browning too quickly, turn the heat down. 4. Add a tablespoon of the reserved oil back to the pan and add the egg mixture, pressing it down to an even level. 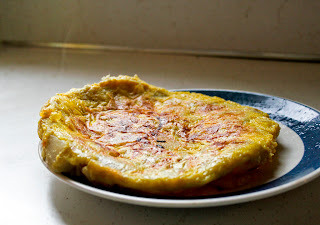 Lower heat to medium low and cook for about 3 - 5 minutes, lifting edges with a spatula, until the bottom is just set. 5. 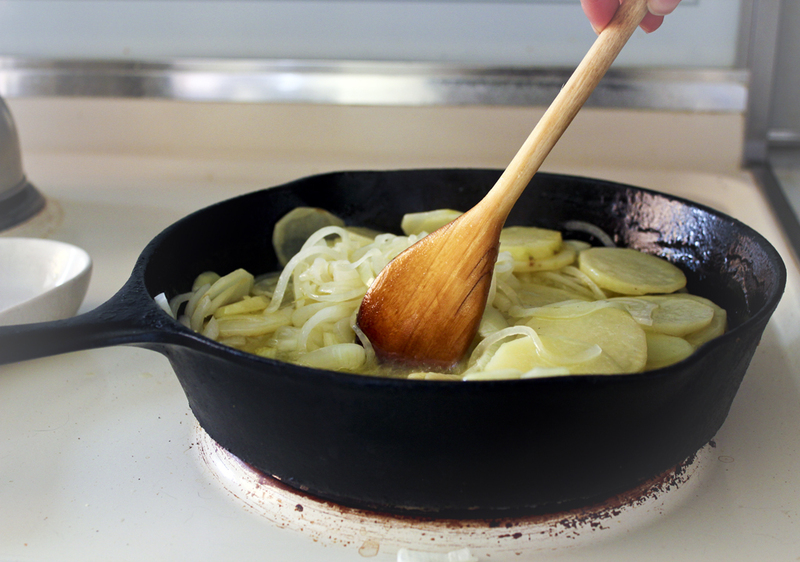 Run a spatula around the edges and place a plate on top of the pan and carefully flip. Add another tablespoon of oil to the pan and slide the tortilla back in. Finish cooking for another 2 - 3 minutes.